While our own Brian Lam already published Gizmodo's review of the new Netflix Player by Roku—a $100 streaming media box allowing unlimited downloads of 10,000 movies with a Netflix subscription—apparently there are other news outlets in existence who had opinions of their own. (I know, totally tacky on their part, right?) Here's the quick version of the first six reviews of the Netflix Player. 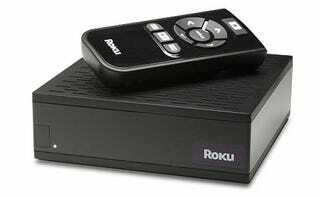 On the technical end, this small set top box is dead simple to configure and use with my existing Netflix account. Plug it in, hook it up to the HDTV with an HDMI cable, plug in an Ethernet cord, and then use a confirmation code to link it to your account. I was running within five minutes. On most videos the resolution was sufficiently high that it bordered on DVD quality. There was almost no visible pixellation even on our 46-inch rear projection TV. One great feature: the Roku box talks to Netflix.com about how much of a movie you've watched. I started watching Before the Devil Knows Your Dead on the Roku, paused it, then fired it up on Netflix.com the next day exactly where I'd left off. A Netflix representative was unable to tell me what types of titles would be added in the future, but he did say that the company intends to expand its library and will offer HD streaming in the future. And when that happens, the Roku box is already equipped to stream via HDMI.